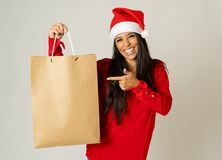 Christmas shopping santa woman with gift bag. 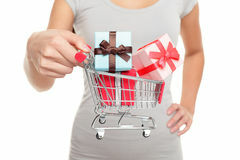 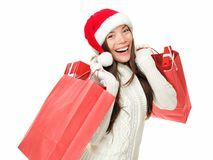 Woman shopping for christmas gifts. 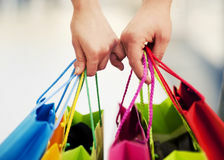 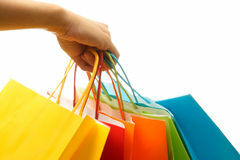 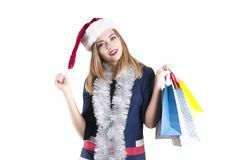 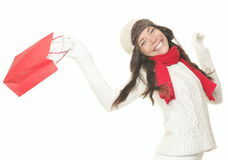 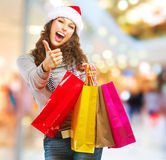 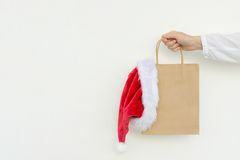 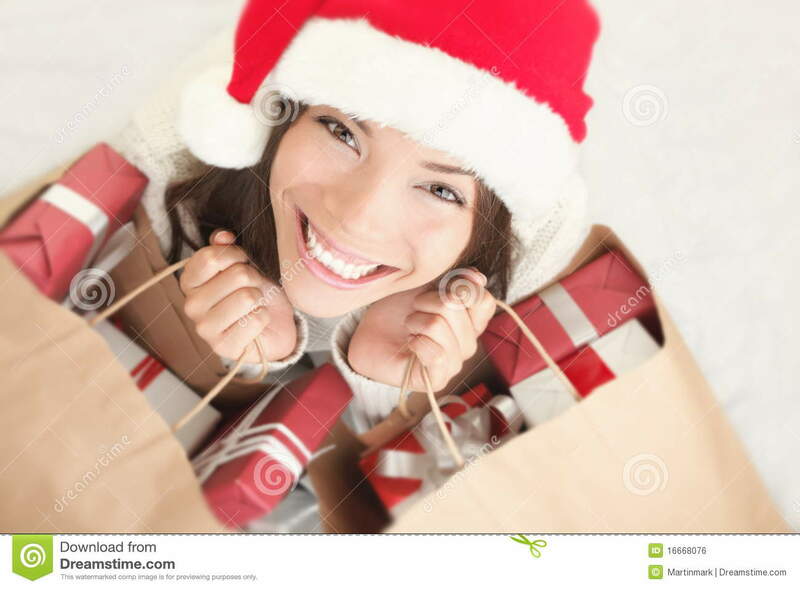 Young asian caucasian girl looking up smiling with shopping bags and santa hat. 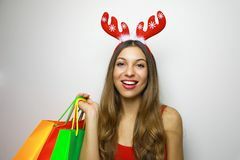 Copy space on the side.